The allure and appeal of Amsterdam is apparent. The capital of the Netherlands will charm you with windmills, guild-house squares and gabled houses with colorful shuttered windows and flowerboxes grace its wonderful waterways. Featuring over 60 miles of canals, more than 70 islands and hundreds of different kinds of bridges, taking a canal cruise on one of the famed glass-topped boats is a terrific way to see and enjoy the area’s picturesque sights. Dutch history and art beckon. Amsterdam claims to house over 140 galleries and 40 museums. From the phenomenal collection at the national Rijikmuseum that features Rembrandt’s masterpiece The Night Watch, to the Van Gogh Museum to the Royal Picture Gallery, there is something for everyone’s artistic taste. The city’s Jewish heritage is an important part of its history and relevant points of interest include the Schouwburg Theatre, the Jewish Historical Museum, Anne Frank’s House and the Portuguese Synagogue. Of course, a visit to Amsterdam would not be complete without sampling delicious food and drink from coffee houses, bakeries and bars to Michelin-starred restaurants. SAIL: Amsterdam. 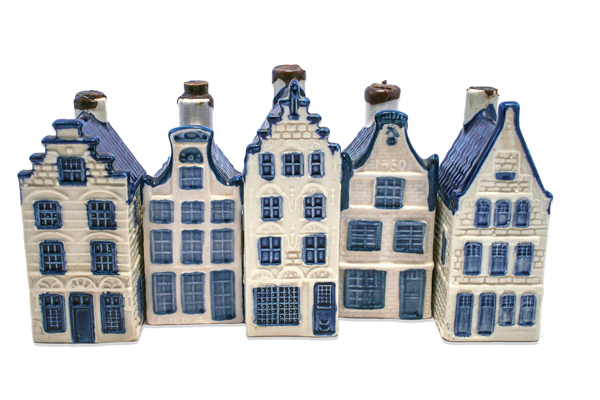 Delft blue and white porcelain, tulip embroidered linens and clogs are classic Dutch mementos. If the dazzle of diamonds appeals, this city is known for its extensive diamond trade. Coffee, crisp ginger cookies and licorice are tasty gifts, as well. SIP: Beer or Jenever. The Dutch have been brewing beer since the 14th century and are known for Heineken, Grolsch and Amstel. For adventurous spirit drinkers, sip a shot of jenever, the local juniper based gin. SAVOR: Dutch Delicacies. Have a bite of Edam & Gouda, the country’s famous cheese, nibble on bitterballen, traditional small fried meatballs, or native pickled herring. A must-try sweet is the stroopwafel, a thin waffle cookie glued together with luscious caramel.